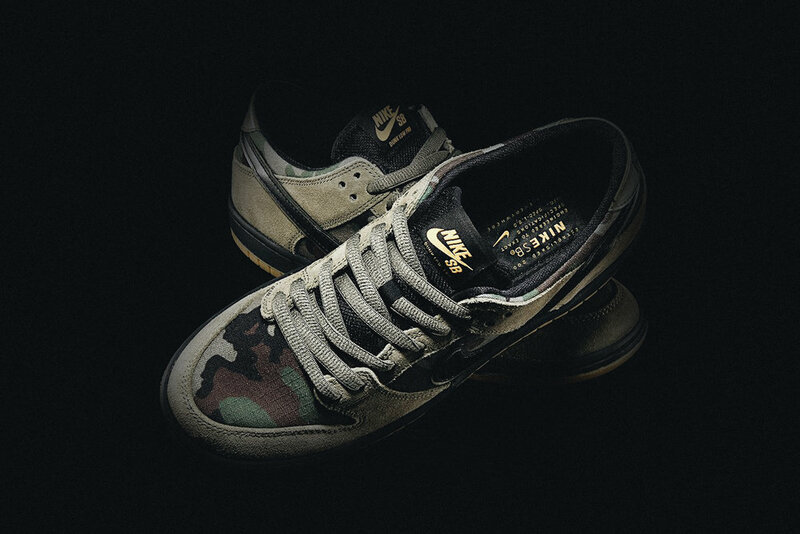 The Dunk is quite arguably Nike’s dopest sneaker silhouette, and exactly one year ago, Nike dropped a colorway that took our obsession for the Dunk through the roof. 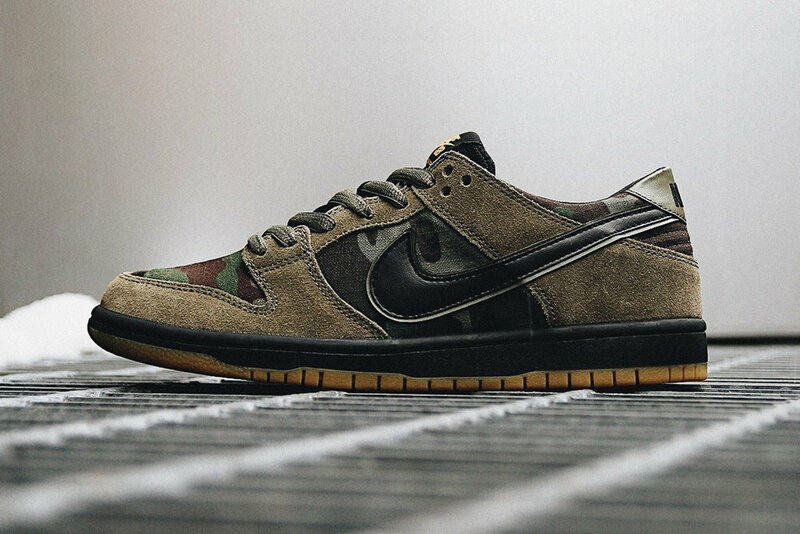 With a mil-spec inspired SB Dunk Low Pro build, these gems feature a durable ripstop woodland-camo pattern combined with a suede olive drab upper, and a gum rubber outsole. Additionally, a Zoom Air sockliner, an accented tonal black midsole, and a black leather Swoosh layered over olive drab leather set this sneaker off. Straight up SBSRFC Spec style.